Last week we at gaadikey.com had reported , Mahindra revealed the name of its upcoming MPV as the Marazzo, along with a few teaser images. Now, the latest official image released by the carmaker gives us a look at the Marazzo’s dashboard. 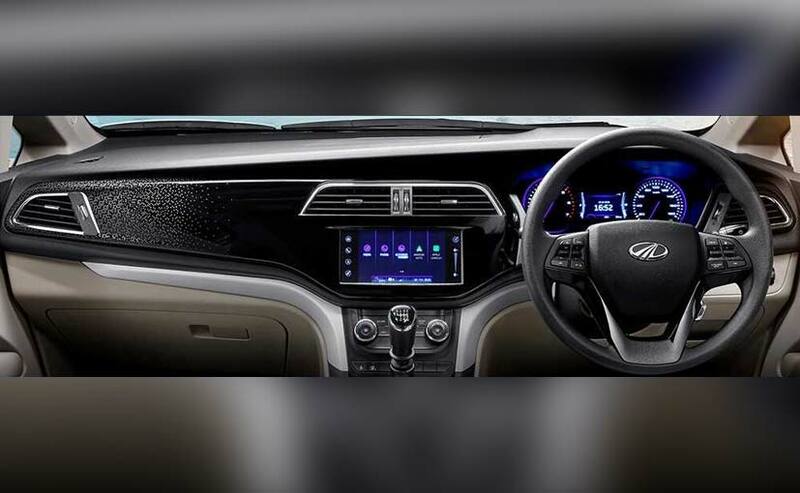 The new Marazzo MPV gets a flat-faced dual-tone dashboard with a gloss black fascia. It houses a touchscreen infotainment screen in the centre, while the air-conditioning vents have chrome surrounds. The lower part of the dashboard features two L-shaped silver trim pieces. The MPV gets a 3-spoke multi-function steering wheel and a twin-pod instrument cluster with a central MID, while the dials have a purple backlight. 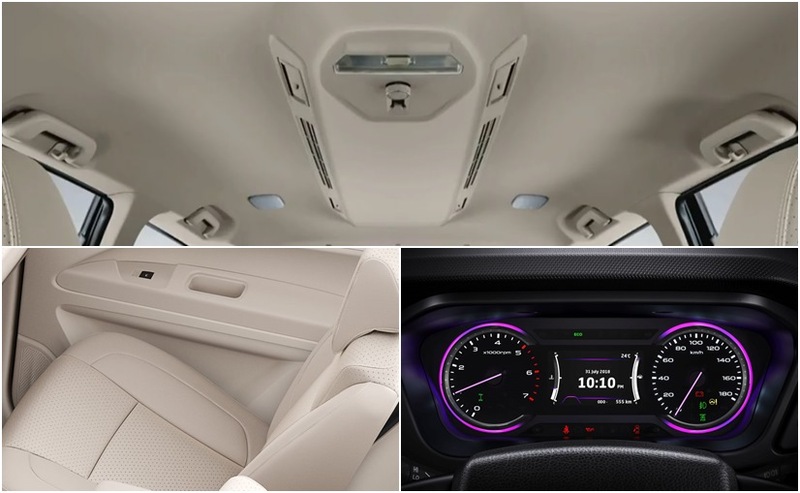 The new MPV from Mahindra will come with leather seats and roof mounted air vents for the second and third rows. Mahindra says the design of the Marazzo takes inspiration from the shark and elements of this can be seen on the new grille, taillights and even the shark-fin inspired antenna. The Mahindra Marazzo is based on a new monocoque chassis developed in collaboration with the Mahindra North American Technical Centre (MNATC) and Mahindra Research Valley (MRV), Chennai. It will be built at Mahindra’s Nashik plant and is expected to be launched in April 2019 .